Northern youths under the auspices of Arewa Youths Consultative Forum on Friday went hard on President Muhammadu Buhari over his recent remarks in London that a lot of young persons in the country prefer to sit without working, stressing that the criticism is an insult on all Nigerian youths. The Arewa youths, who spoke through their national president, Yerima Shettima, in an exclusive chat with DAILY POST said they have heard Buhari’s remarks at the Commonwealth Business Forum in London and are biding their time till 2019 to let the President know whether they are actually jobless and lazy. Recall that presidential spokesman, Femi Adesina had accused mischievous persons of twisting the comment by his principal, who he quoted as saying, “a lot of them (young Nigerians) have not been to school and they are claiming that Nigeria has been an oil producing country, therefore they should sit and do nothing and get housing, healthcare and education free”. 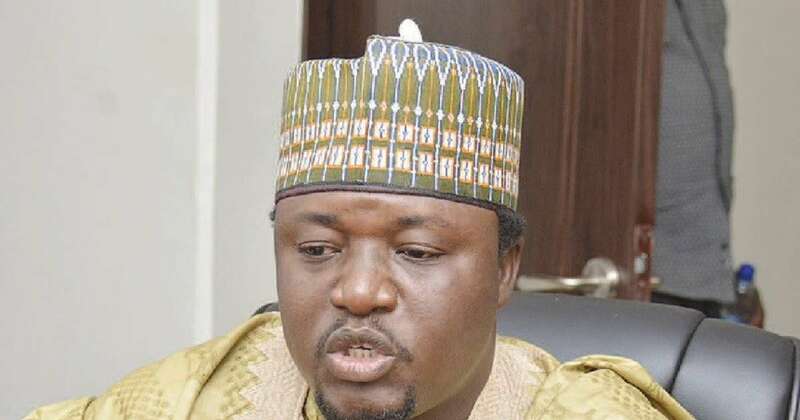 But reacting, Yerima stated that Adesina’s attempt at clarification does not make any difference, adding that since Buhari’s comment became public knowledge, he has been getting calls from youths across the north, expressing anger over the comment from the Nigerian leader. He said it was bad enough that the president spoke in an international event where other nationalities were present, stressing that it was regrettable that the President would speak so of younger Nigerians who put their lives on the line to install the Buhari government. “From the moment that statement was out, there have been a lot of complaints and grumbles from various people from my place, and they kept calling. The complaints were too much that I was compelled to issue a statement. “Ordinarily, I wouldn’t have said anything because I am not surprised to see that kind of statement because the government does not believe in the Nigerian youths from inception. “If you look at the arrangement, the appointment, and how the government relates with the youths of this country, you will see that they do not have respect for the Nigerian youths despite the contributions of the youths. Don’t forget that the youths put their lives on the line to fight against the previous government but when it comes to sharing the goodies of government, the youths are nowhere to be found. “We are completely disappointed in Buhari and we will never make this mistake again,” Yerima said.